Watch this lesson to see an actual level 4 flying camel.. You will see a skater execute this spin and see tips in slow motion and at the same time hear what is being done and what you need to do to achieve these features. So you hear what to do to get the camel up feature, the camel forward feature. 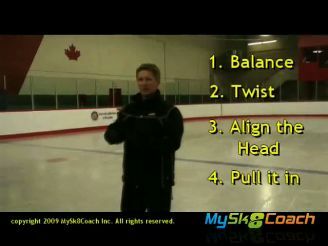 The skater also executes an edge change in this 3 minute 19 second video lesson. Paige shows the positions and counts rotations which really helps you see and understand how to count in spins. The trick is to start counting AFTER the skater stops moving and hits the position. Categories: Spins, Camel, Camel Side, Camel Up, Difficult Features, Flying Product Coach: Paige Aistrop. Product Skill Level: Intermediate, Advanced. Product Lesson Type: Private, Positions, Breakdown, Tips. Be the first to review “Level 4 Flying Camel Review” Click here to cancel reply.